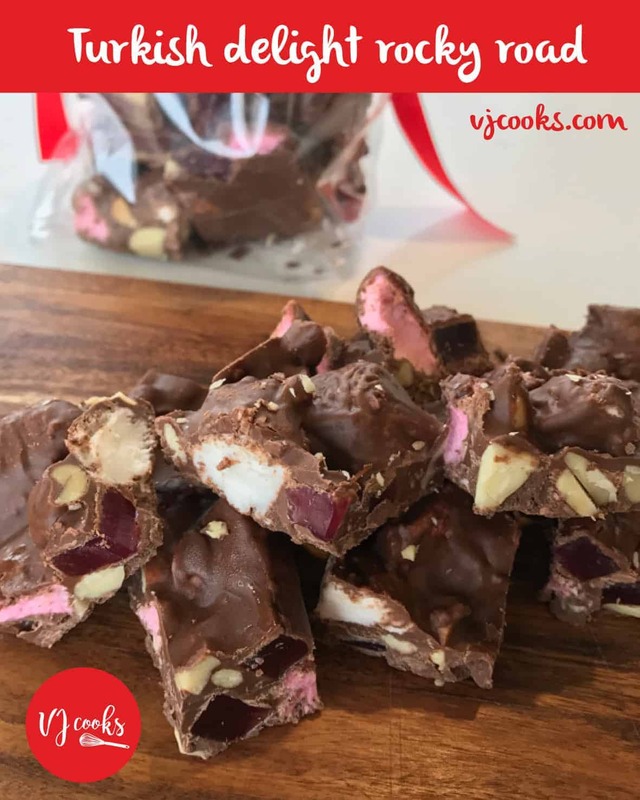 This quick and easy Turkish Delight Rocky Road is a delicious chocolate treat and also a great for gift for friends. 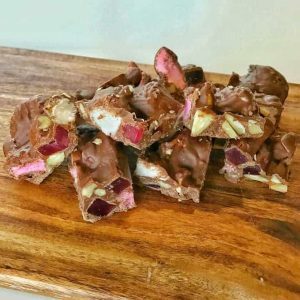 I love making Rocky Road and this Turkish Delight version is so tasty! The combination of almonds, Turkish Delight, marshmallows and chocolate is such a hit. For this recipe I used a combination of milk and dark chocolate because I like the flavour and balance of the two combined, but you can use what ever chocolate is your favourite. Rocky road is so versatile! You can use whatever ingredients you have on hand: nuts, dried fruit and even chocolate bars like Turkish Delight. 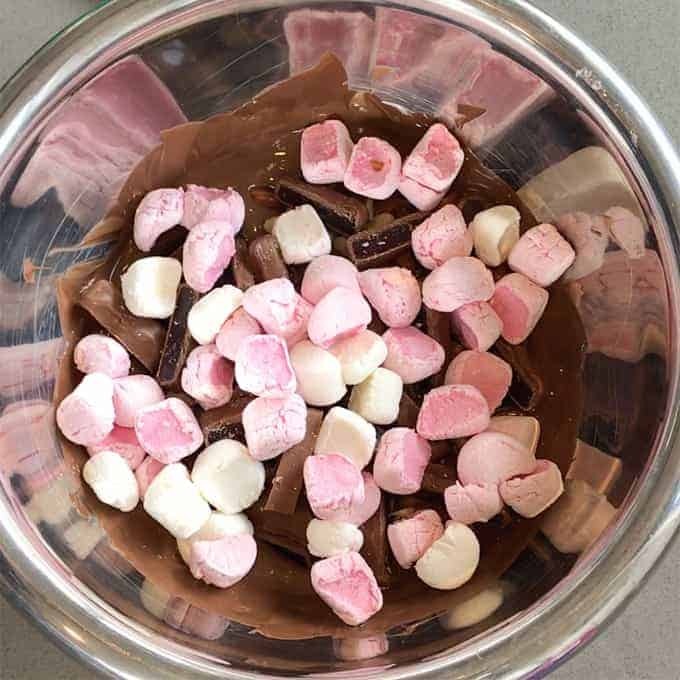 This recipe is so easy to make, you just melt the chocolate then add the almonds, Turkish Delight and marshmallows. I like to cut the Turkish Delight into large slices so that when you cut up the Rocky Road (once it has set), you can still see the nice big dark red pieces inside. 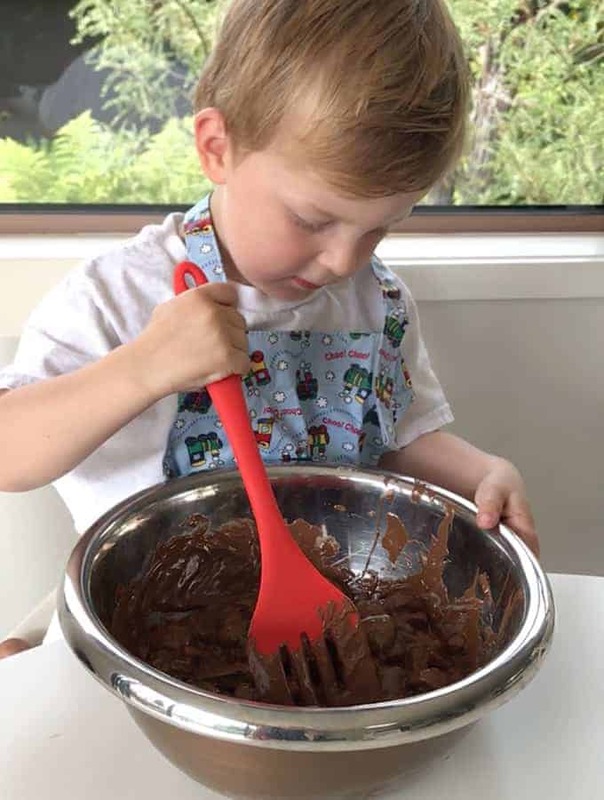 This recipe is a great one to get the kids involved by stirring it all together and adding ingredients into the bowl. It’s also one of my favourite recipes to make because it’s so tasty licking the bowl and spoon afterwards. 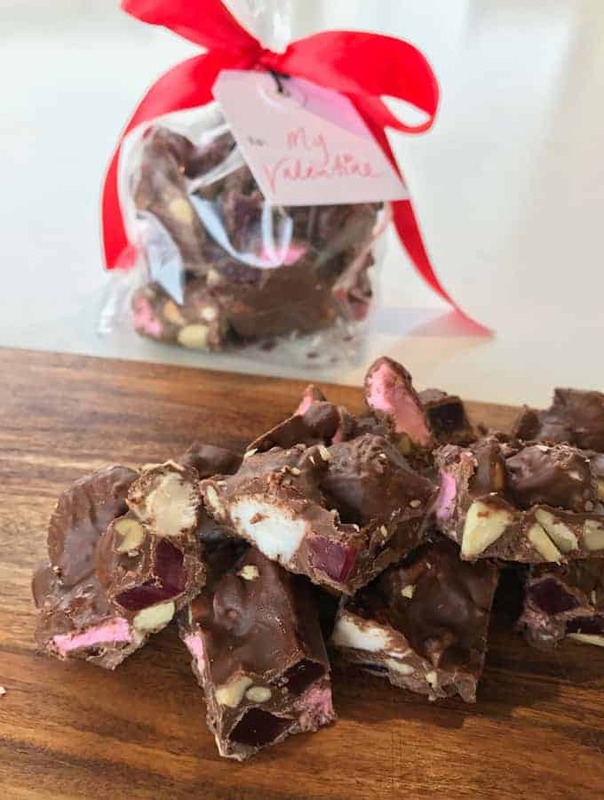 Turkish Delight Rocky Road is an amazing gift for friends and family so why don’t you try making it for Birthdays, Christmas or Valentines Day. 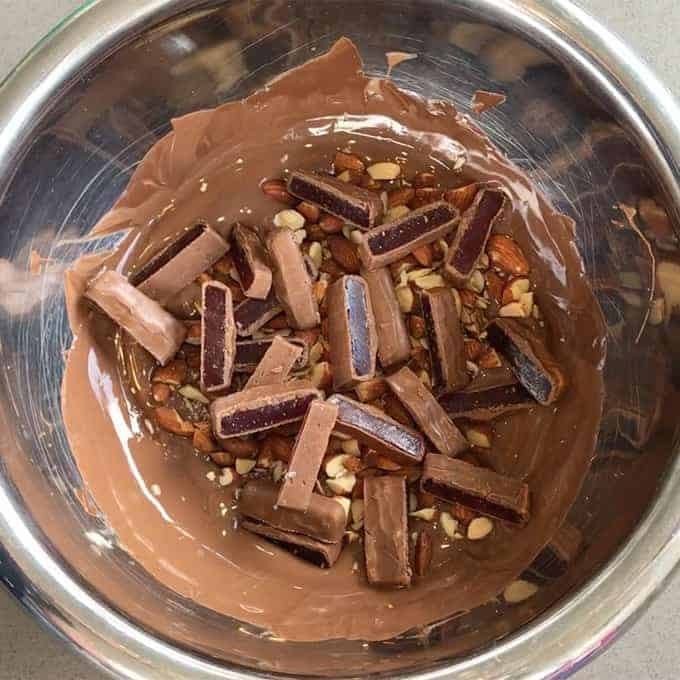 Break up chocolate and add to a heatproof bowl. Put bowl over a saucepan of boiling water. Melt chocolate together and stir. Take off heat. 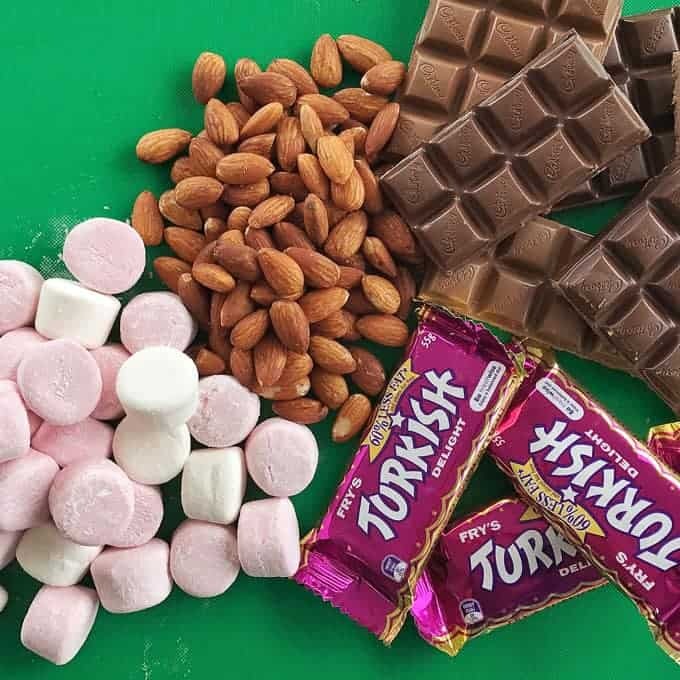 Chop marshmallows in half, chop up almonds and slice turkish delight. Add all to the melted chocolate and mix together. 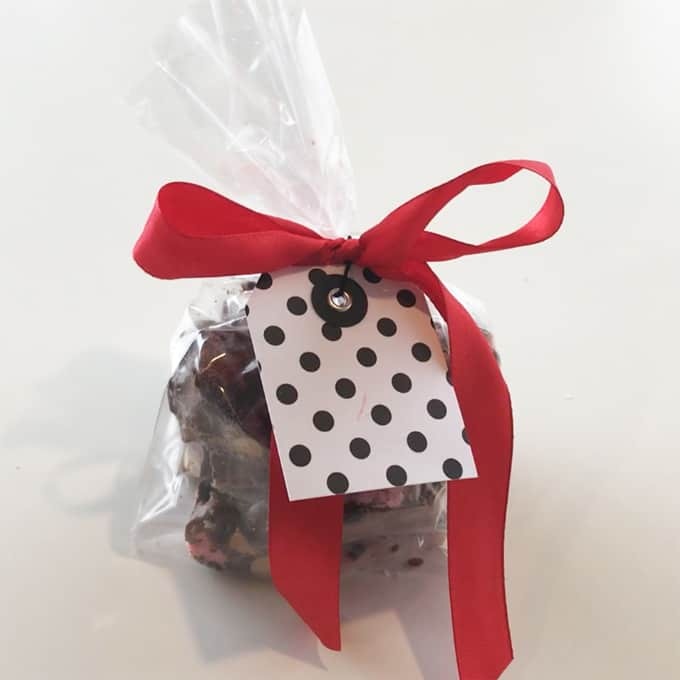 Pour the chocolate mix into a tray lined with glad wrap or baking paper and spread to the edges. Place in the fridge to chill until set.